Typically, these are mailed home but they were provided to students today during Period 4. These are actual report cards so they’re important! Note that for ALC 1O students, the mark reflects the final mark for the first half of the course, (which for the current crew was drama). In NAC2O – Grade 10 Native Studies, our StreetWolf program comes to an end this week with a certificate presentation and traditional games/dancing in the gym. We’ve also been taking a look at Land Use and that will continue this week, too. There are a few students who need to make arrangements to get caught up with missing work this week. 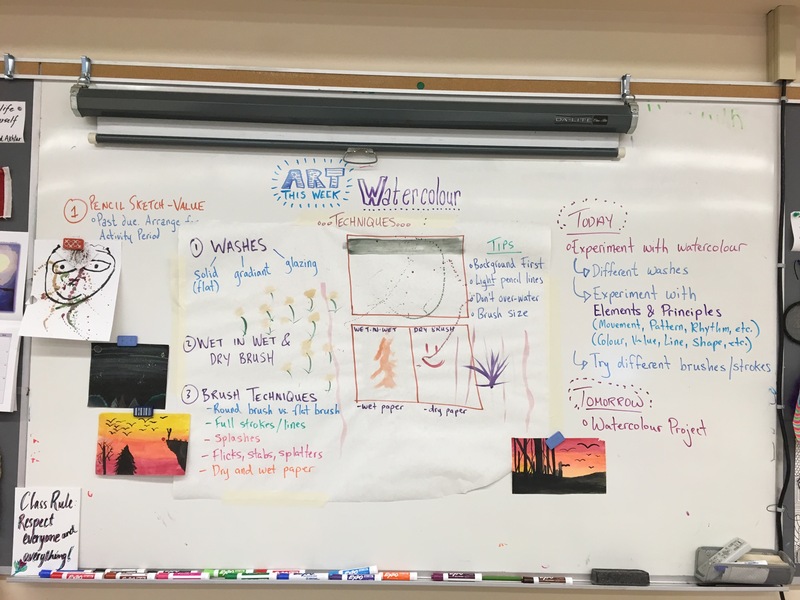 ALC1O – Grade 9 Art students are awesome! We had some extra time last week so I had the students experiment with pen and ink. There were some pretty sweet creations and I will endeavour to take pictures of the work. Students also experimented with colour and value. 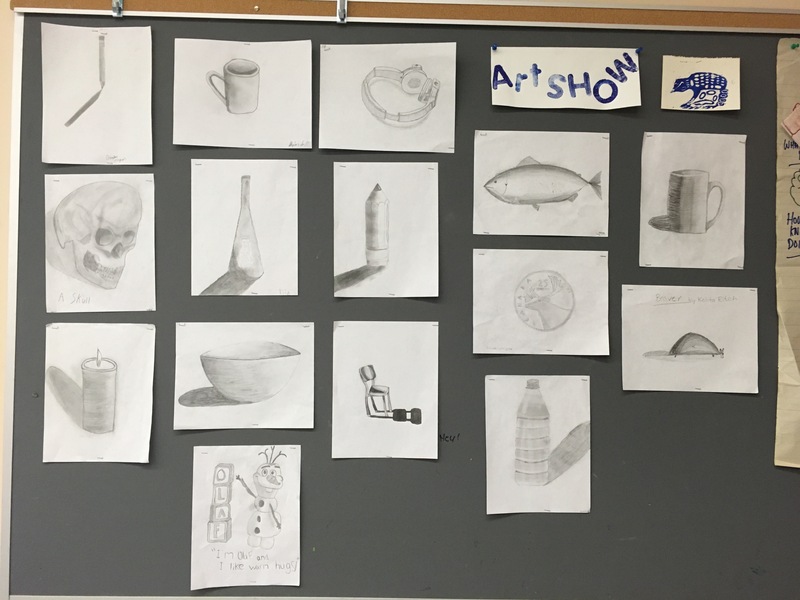 The value-focused pencil sketches this group created are awesome. I’ve displayed many of them in the classroom. We are now turning our attention to watercolour painting. Students have been doing some paint practicing and will now begin a watercolour assignment. There are only THREE weeks left until the Christmas Break! Crazy!